Chicago has been the backdrop of both modern and classic literary works. And in many cases, the city acts as both the setting and a character itself. In these seven contemporary novels, Chicago is an integral element that drives the story. We&apos;ve paired each tale with the neighborhood, landmark or cultural institution that will transport readers straight to the pages of their favorite book. 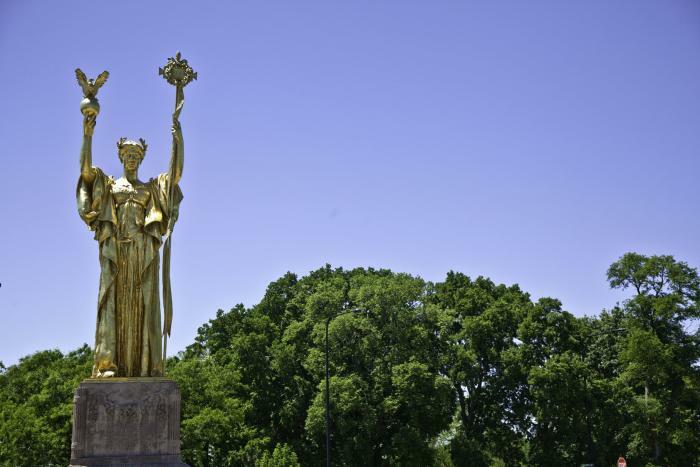 Travel back in time to the 1893 World’s Columbian Exposition, when Chicago made its cultural mark on the world stage. Erik Larson&apos;s acclaimed true-crime thriller, The Devil in the White City weaves together the stories of Daniel Burnham, the architect behind fair, and Dr. H. H. Holmes, the first known American serial killer. While Holmes&apos; “Murder Castle” and most of the fair’s buildings are long gone, you can still visit the fair’s scenic setting in Jackson Park in the Woodlawn neighborhood. Across the park’s lagoon lies one of the last remnants of the fair — the Museum of Science and Industry (5700 S. Lake Shore Dr.) was once home to the Palace of Fine Arts. In this-best selling trilogy, Chicago is transformed into a dystopian society. The first book in the series follows 16-year-old Beatrice Prior as she learns to survive a world divided into factions and choose between her family and who she really is. Chicago landmarks figure prominently into the action throughout the book. Readers can spot references to the Willis Tower, Cloud Gate (better known as “The Bean”), and Lake Michigan. 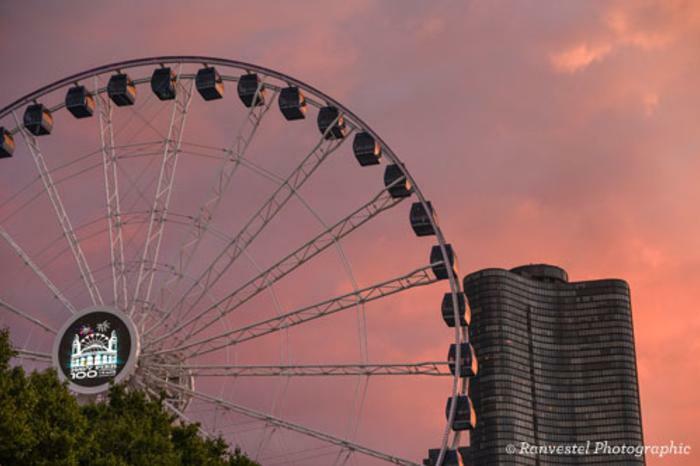 One of the more harrowing scenes takes place on Navy Pier’s Centennial Wheel (600 E. Grand Ave.), which Beatrice scales during a game of capture the flag. 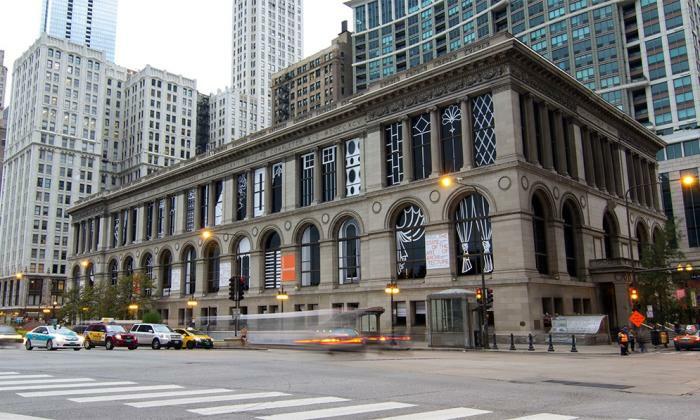 It&apos;s 1985 and Yale Tishman is working at Northwestern University&apos;s new art gallery just outside Chicago. But his career, relationship and the city itself is turned upside down during the AIDS epidemic. The Great Believers is one of the first novels to portray Chicago during the AIDS epidemic in unflinching detail, from its initial outbreak to the present as its two intertwining stories carry readers through heartbreak and hope. Readers will follow Yale through a faithful recreation of Chicago in the eighties, from Lincoln Park to downtown to Evanston. 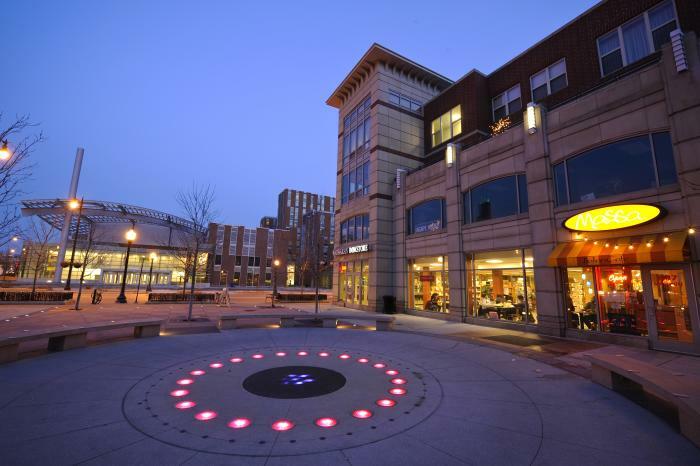 Boystown in particular comes to life as a safe haven for Yale and his friends. Today, it’s still one of the most inclusive LGBTQ+ neighborhoods in the nation. 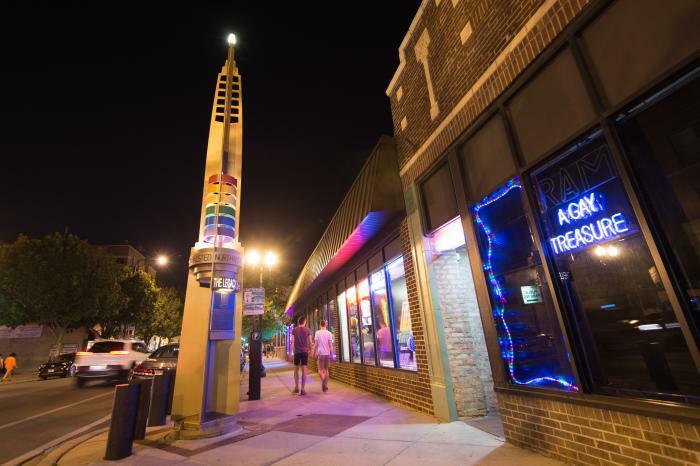 Visitors can walk the historic Legacy Walk, which spans a half mile of the North Halsted corridor, and learn about LGBTQ heroes and events. The Nix brings readers into the world of Sam Andresen-Anderson, a professor at a university in Chicago, who is struggling to complete work on his book. Then he spots his mother, who abandoned him ages ago, throwing rocks at a politician in a viral video, and he sets off on a completely different course. This epic tale traces the tumultuous 1968 Chicago riots, revealing the impact these events had on not only on Sam and his mother, but also on the entire country. The book intricately describes the University of Illinois at Chicago campus circa late 1960s. Get a glimpse of the book&apos;s setting by taking a walk around the UIC campus and surrounding University Village neighborhood. To learn more about activism on Chicago&apos;s college campuses during that era, set off on a virtual tour with legendary activist Bill Ayers. Hyde Park, A Storied Neighborhood, Wrapped in Contradiction ($2.99; VoiceMap.me) will take you through the University of Chicago, where you&apos;ll encounter tales of world renowned architects, activists and artists. In her debut novel, Audrey Niffenegger gives readers a whirlwind tour of Chicago through the eyes of a librarian with a time-traveling genetic condition and his artist wife. The romantic and heartbreaking story spans decades as the couple tries to build a life together against the pull of time. The book is full of detailed references to Chicago, from landmarks to local stores. The Aragon Ballroom (1106 W. Lawrence Ave.), Lyric Opera of Chicago (20 N. Upper Wacker Dr.) and the Chicago Cultural Center (78 E. Washington St.) all make an appearance. Observant readers will also catch mentions of neighborhood favorites like Swedish restaurant Ann Sather (multiple locations) and The Berghoff (17 W. Adams St.) in the Loop. Henrietta Von Harmon works as a taxi dancer at a local dance hall while also caring for her mother and younger siblings in 1930&apos;s Chicago. When the floor matron turns up dead, aloof Inspector Clive Howard appears on the scene and sends Henrietta undercover. Much of the action in A Girl Like You takes place in the northwest neighborhood of Logan Square. 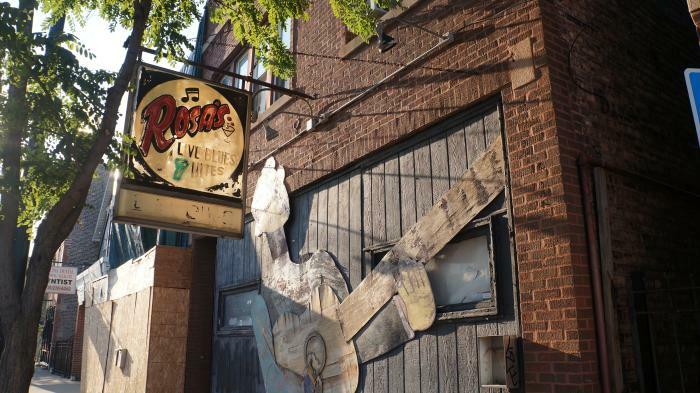 Capture the vibe of the 1930&apos;s dance hall scene in Logan Square at Rosa&apos;s Lounge (3420 W. Armitage Ave). Or swing by Twin Anchors (1655 N. Sedgwick St.) in Old Town, a former soda shop and speakeasy that was a favorite of Frank Sinatra. In Feuding Fan Dancers, Leslie Zemeckis brings the golden age of showgirls in Chicago to life. Burlesque dancers Faith Bacon and Sally Rand found stardom in the 1930’s through their daring performances, but their lives took dramatically different turns. One rose to fame while the other found heartache. Chicago&apos;s burlesque scene still shines today. Vaudezilla (3614 W. Belmont Ave.) offers classes in the art of burlesque while also showcasing teachers and students in regular performances. At Untitled Supper Club’s (111 W. Kinzie St.) weekly Unbridled show, world-famous burlesque star Michelle L’amour presents one of the most stimulating burlesque performances in the city.